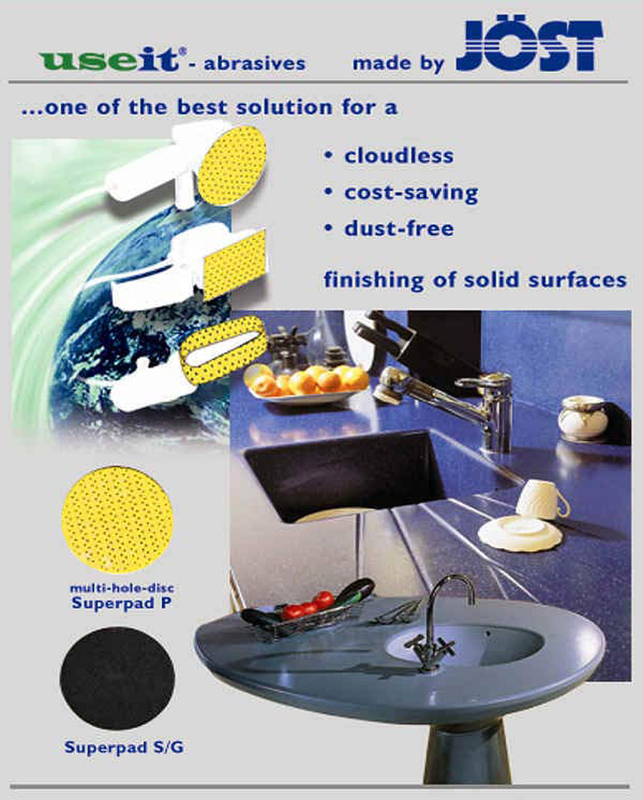 We offered Joest Abrasives years back and it was one of our best sellers for finishing Solid Surface. We dropped the line due to a conflict and we have just brought is back. Joest Abrasives are aweswome for sanding a wide variety of materials. Joest abrasives are unique in two ways: they have a pin hole dust collection pattern so they work with virtually any sander and they have a soft back so they remove the "clouds" sometimes left after other finishing methods. The Superpad P product is similar to a gold paper and the Superpad SG is similar to an Abralon product.